Salute! This Italian gift basket is comprised solely of authentic award-winning foods like Basilico pasta sauce and Arborio rice. 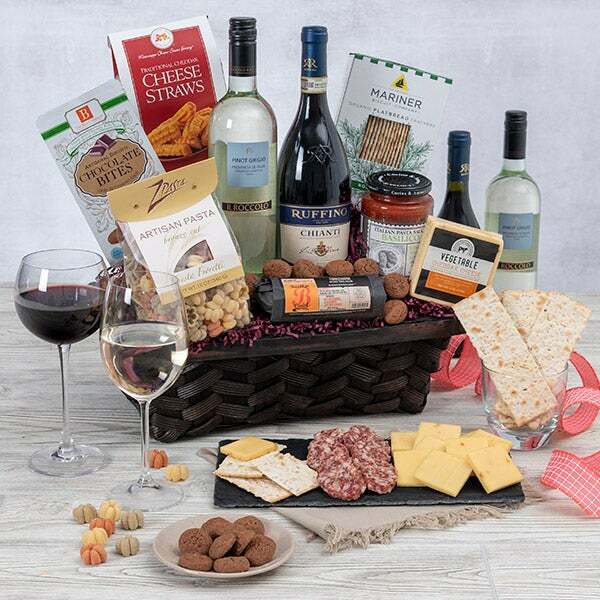 Of course, no Italian meal would be complete without a glass of wine so we’ve included a well-balanced, medium-bodied Chianti and a delicate, citrusy Pinot Grigio to creating an impressive gift they won't forget! 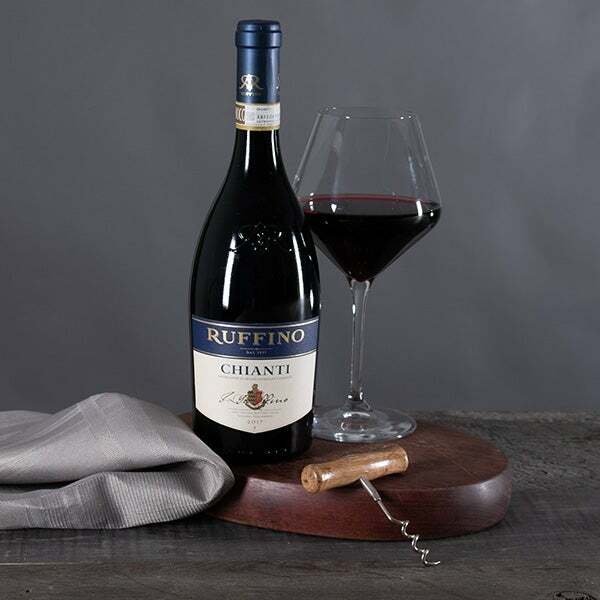 Chianti by Ruffino - 750 ml - A well-balanced, medium-bodied Chianti that offers aromas of violet, sweet cherries, and finishes with spicy hints of hazelnut. 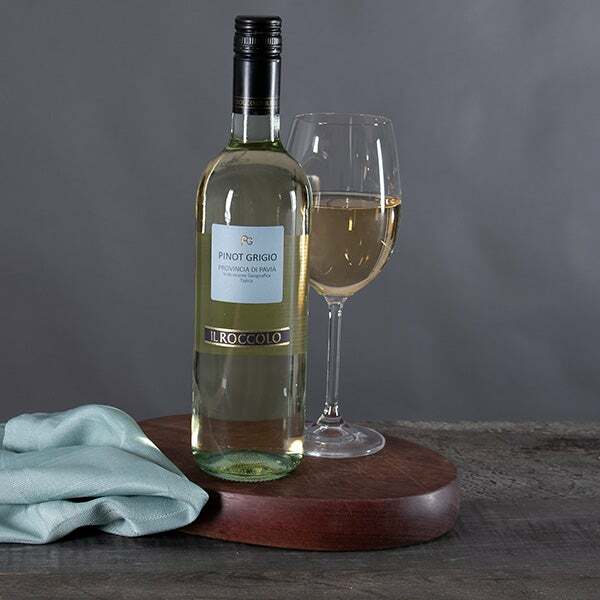 Pinot Grigio by Il Roccolo- 750 ml – A delicate white wine with the satisfying flavors of juicy pears, crisp apple and almonds. 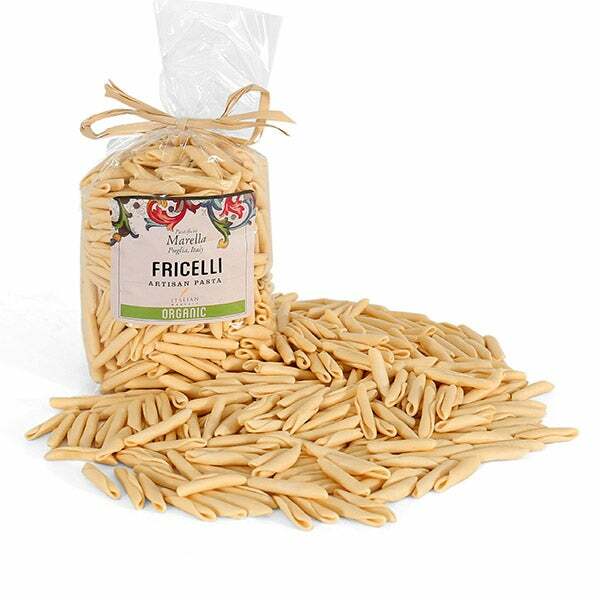 Fricelli Organic Pasta by Morella - 1.1 lbs – Delectable organic pasta that naturally dyed using spinach, tomatoes, red beets, turmeric, and red pepper. Basilico Pasta Sauce by Cucina & Amore - 16.8 oz. 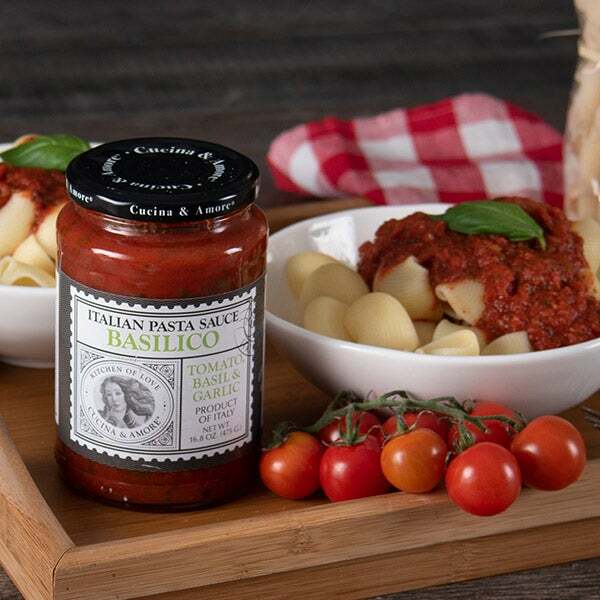 - Traditional Italian pasta sauce made with a combination of tomatoes, basil, garlic and the finest seasonings available. 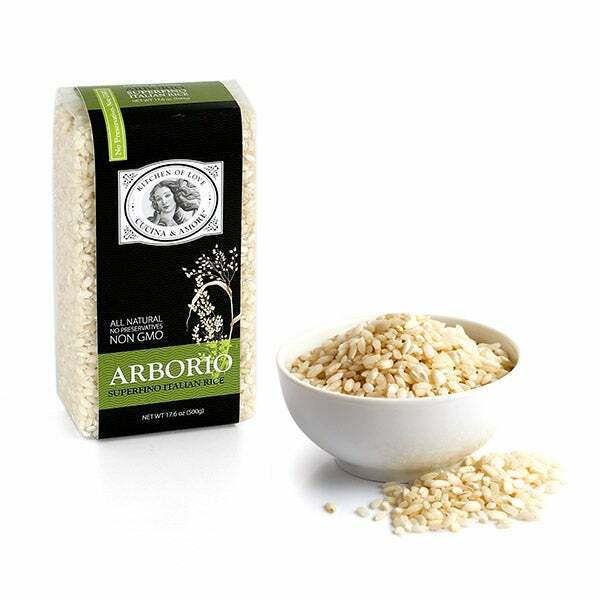 Arborio Rice by Cucina & Amore - 17.6 oz. 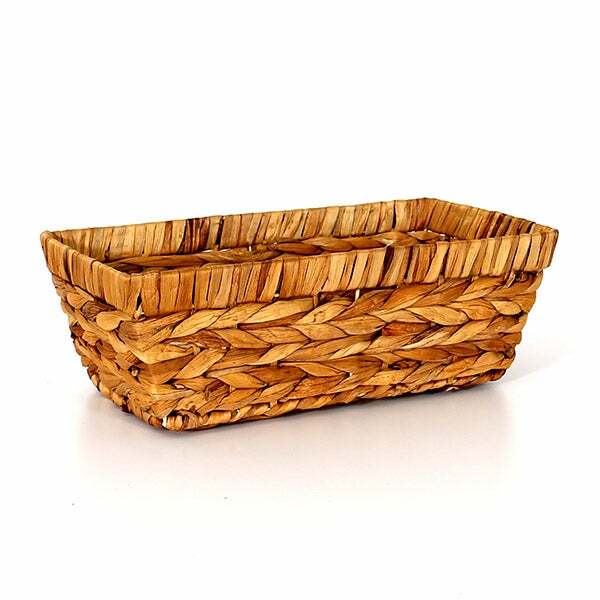 - Italian short grain rice perfect for making risotto, the perfect compliment for any meal. Sun Dried Tomatoes by Cucina & Amore - 7.9 oz. 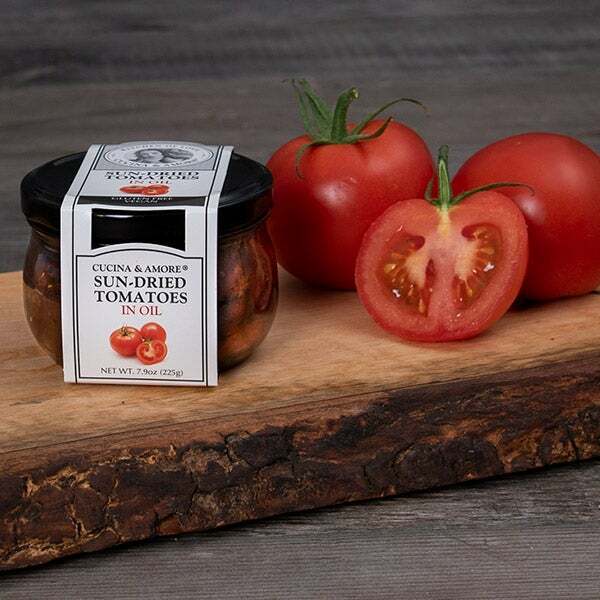 - All natural sun dried tomatoes that are made with only the freshest ingredients. Garlic Sausage by Hanover Smokehouse - 5 oz. 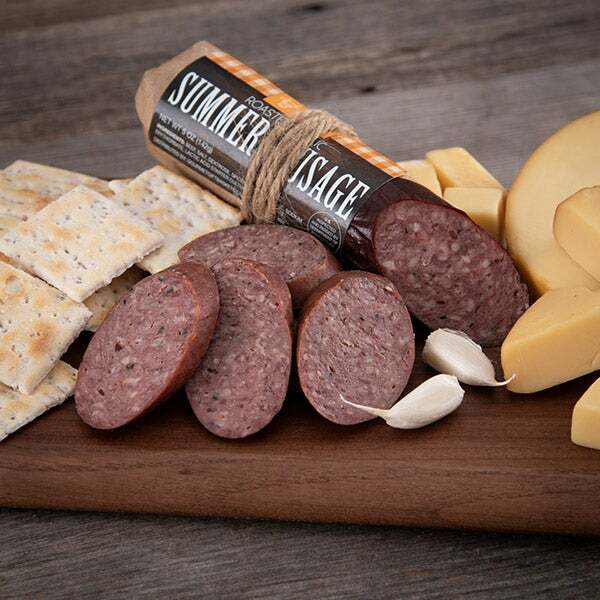 - Handcrafted summer sausage made using traditional meat and a pinch of garlic. Vanilla Latte Biscotti by From the Land - 6.7 oz. 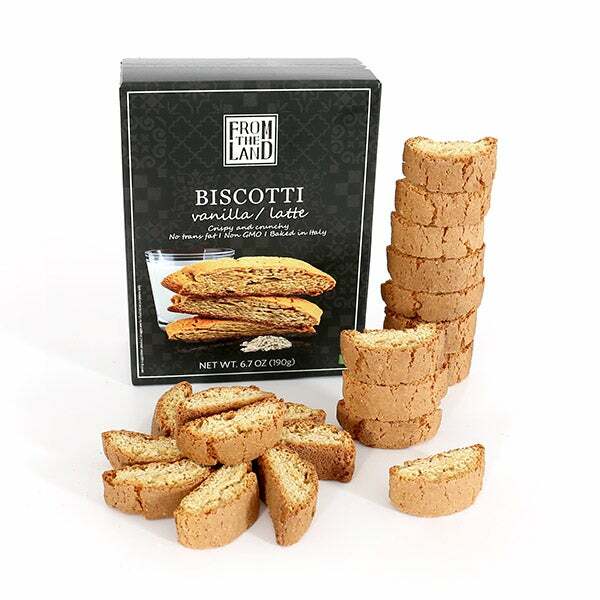 - Crisp and crunchy sweet Italian biscotti cookies with the subtle flavors of vanilla and latte. 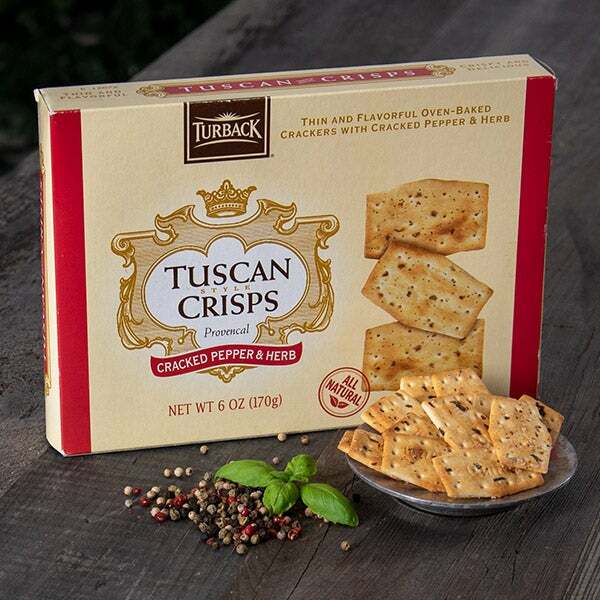 Cracked Pepper & Herb Tuscan Crisps by Turback - 6 oz. - Crisp and light crackers with bits of freshly-cracked pepper and a variety of herbs, creating the perfect compliment to summer sausage.